I am aware that Retreat affords an opportunity to deepen my meditation practice and Buddhist studies, but I may also face physical, emotional, psychological, and/or spiritual challenges. It is my sole responsibility to determine my fitness for Retreat and whether it is appropriate for me. If I have questions or concerns about any physical or mental health issues that might affect my ability to engage in Retreat, I will consult with my physician, psychologist or other health care professional before completing this agreement. I represent to Pundarika Foundation that I have a current medical insurance policy with coverage limits that are sufficient for any health emergency that might arise during or as a consequence of this retreat. I agree that I am solely financially responsible for any and all emergency response interventions. I hereby fully waive and release the Pundarika Foundation from any and all claims for property damage, personal injury, illness, or death that may result from any activities or conditions while in Retreat. Those activities and conditions may include, but are not limited to: extended periods of sitting meditation; physical isolation; walking and hiking in sandy and hilly terrain in intense sun, strong winds, wet or icy conditions; encountering wildlife that may include deer, coyotes, elk, fox, bears, mice, or mountain lions; mosquitos and other biting insects. I acknowledge and understand that there may be dangers and risks associated with the activities described above, which are understood by me. 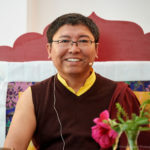 The teachings of Tsoknyi Rinpoche will be recorded. (c) Use my name, likeness, and voice in connection with any use of such photographs, videotapes, audiotapes, transcripts and materials, including uses in connection with the Retreat. I acknowledge that I will not be compensated for my participation in the Retreat or for any uses made of the Retreat or for any recordings or publications of the Retreat. I understand that the Pundarika Foundation owns all rights in the Retreat including the copyright. Registration opens on the dates listed on the Programs page. No early registrations are possible. Registration is done by credit card through our website. If you are unable to register online during the specified time period, please find someone to register for you or see if a local library or internet cafe’ can help you. To be registered for a retreat, the online application form must be completed and applicable fees paid using our secure online system. We are unable to accept personal checks for retreat payments. For those who choose the two payment plan, (deposit and final payment due 30 days prior to the retreat start date) you will be officially registered when the second payment is received. If you are an ordained Buddhist monk or nun, it is our policy that there is no tuition fee to attend a retreat. You must meet the basic eligibility requirements listed in the retreat description. Please email our registrar with your name and the retreat you wish to attend and that you qualify for the specific retreat you are registering for. Once you have completed your initial registration, you will receive two e-mail receipts: one from the Registrar and one from our banking system. The banking system email serves as confirmation of your registration and that your payment has been processed. The Registrar also has the same information and is apprised of your status. If you do not receive e-mail confirmation within 72 hours of completing your registration, remember to check your spam/or promotions folders on your e-mail program for Pundarika communications first. If you do not see your confirmation in those folders, please contact the Registrar (time is needed for payments to clear). We have found that foreign credit cards can take longer to clear, so please allow one full working week for this. We can accept checks (personal, travelers, or money orders) and credit cards at the retreat sites for donations, katas (blessing scarves), books, photographs and other articles that may be available. If a retreat (either in Crestone or the East/West Coast) is full, Pundarika will put a notice on the program page of the Pundarika web site asking students who wish to be on the waiting list to e-mail the Registrar with their name, e-mail, contact phone number and home address for that particular retreat. As openings occur, individuals will be contacted by the Registrar in the order in which they submitted their e-mail request to see if they still want to attend. If students are enrolled in the Membership Program, they are guaranteed a space in the retreat only if they register within a specifically stated time period once registration for that retreat has opened. Refer to that individual retreat’s program page for that timing information. Rinpoche’s students who wish to attend a teaching session and who are not registered for the retreat will not be able to “drop in” (attend a session) if a retreat is completely full. Always check in advance with the Registrar or Retreat Manager. The purpose of our cancellation policy is to acknowledge that retreatants’ future plans can change unexpectedly and at the same time protect Pundarika Foundation from costs it incurs due to commitments to various vendors and payment for support staff time. Full payment of all retreat fees is due 30 days before the first day that a retreat begins. If you cancel more than 30 days prior to the first day that a retreat begins, you will receive a refund less a $65.00 cancellation fee. If you cancel between 15 and 29 days prior to the program start date, you will receive a refund less a $125.00 cancellation fee. No refunds will be given two weeks before the retreat begins. Certain programs have unique cancellation policies that supersede our general policy, and they are described on the program registration page on our web site for that particular retreat or program (normally these are non-Crestone retreats where host facilities have their own cancellation policies). Refunds through PayPal will be credited to the same credit card with which your retreat fees were paid. Once the cancellation period is over, refunds are not possible and forfeited funds are considered “fee-for-service” payments (according to IRS) and are not considered eligible for tax-exempt status. In other words, they cannot be considered donations. If you are not canceling a program or retreat but need to change a meal plan or lodging choice after your initial choices at registration, you will be charged a $25 administrative change fee. Please note that no refunds for food and lodging will be given two weeks before the retreat begins. 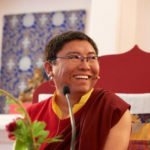 Second: After attending one open 6-day retreat or any retreat in which he has given ‘pointing out instructions,’ retreatants are welcome to attend all subsequent retreats unless Rinpoche specifically requires a certain number of previously attended retreats (including at least one open retreat) to attend a particular teaching. This way of offering retreats is to ensure that retreatants have the appropriate background to most benefit from Rinpoche’s teachings. As his teaching style is spontaneous and dynamic, every retreat is a unique and rich experience. He encourages students to attend an open (foundational) retreat many times, gradually adding other more specific retreats. The only exceptions to the required attendance at an open (foundational) retreat with Rinpoche are students who have attended a 6-day or more retreat, which included pointing out instructions, with Mingyur Rinpoche or have had substantial teachings with Tulku Urgyen Rinpoche, which also included pointing out instructions. The Registrar will work with exceptions on a case-by-case basis. 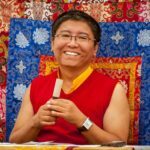 A typical retreat schedule consists of four sitting periods per day (early morning, mid-morning, mid-afternoon and early evening), with two dharma teaching by Tsoknyi Rinpoche during each full day of retreat. Small groups meet with Rinpoche to address students’ questions, especially as they apply to practice in our daily lives and retreat. Retreats are held in silence to deepen the contemplative experience. If you do not wish to be video recorded, you must sit in an area designated, out of range of the cameras. If you require hearing assistance, please bring your own earphones and an FM receiver. The retreat environment does not allow pets. Camping facilities and RV parking are not available at the Crestone retreat venue. If you want to camp or bring an RV, please go online and research campsites in the retreat vicinity. Given the practice intensive nature of these retreats (silence for six days, extensive daily sitting meditation practice requirements and attending all teaching sessions, which can be 3 to 4 hours or more each day), children are not allowed at these retreats. If a young person is 16 or over and can fully commit to the requirements as noted above, they can attend as a registered retreatant. You can easily find or offer a ride to or from Pundarika Retreats and Programs. We invite you to share resources, get to know other dharma students traveling to our retreats and help the environment. View the Rideshare board now. Please visit Getting to and From Crestone, CO for more information on directions and transportation. And for a Crestone retreat map, click here! Participants in Crestone retreats will need to find their own housing. Click here for a list of housing choices. The parking lot for the Yeshe Rangsal retreat land is at the Stupa of Enlightenment located in Chalet 1, off Camino Baca Grande to the east, between Rendezvous and Hilltop. Financial need is defined as the inability to pay the full tuition fee for the retreat, based on an individual’s total financial situation (this should include assets and cash flow). The total number of scholarships and amount of each is determined on a retreat by retreat basis dependent on enrollment, facility costs, and related expenses. If you have received a retreat scholarship from Pundarika Foundation one or more times in the past, this will also be considered with priority given to new applicants. Scholarship applications will be reviewed by a scholarship committee consisting of the retreat Registrar and the Director. Please read the Scholarship policy for criteria. There is a mandatory deposit fee of $50.00 required at the time of scholarship application. If you are not awarded a scholarship and you still choose to attend, the application fee amount will be applied to your full-cost payment. If you are chosen to receive a scholarship your application fee will be applied to the balance of your tuition. The remaining balance is due 30 days before the retreat begins. The scholarship application process will close approximately two months prior to the closing of registration. However, for specific scholarship application dates for a particular retreat, please use the dates noted in the program description page in the Programs section of this web site. Awards will be announced by e-mail to the applicants who best meet the criteria as outlined above, within the funds available.